Paul Boskind, PHD is President/CEO and Owner of Deer Oaks EAP Services, LLC. 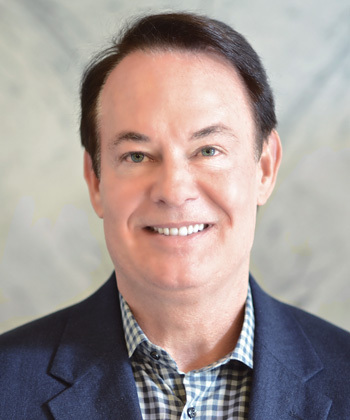 Dr. Boskind founded Deer Oaks in 1992 and served as its sole practitioner. Within a year, Dr. Boskind had hired Deer Oaks’ first full-time clinical employee, an office manager, and developed a network of mental health subcontractors eager to work with him. By 1995, Deer Oaks was incorporated and had grown to three clinical offices and was awarded its first EAP contract with a large school district in San Antonio. Through Dr. Boskind’s strategic planning, Deer Oaks has grown into a thriving stand-alone provider of high-quality Employee Assistance, Work- Life, and Wellness services. Deer Oaks currently serves approximately two million employees and their dependents throughout the U.S. and internationally. This includes municipalities, county governments, school districts, transportation authorities, healthcare organizations, private employer groups and international employers as well. Dr. Boskind’s over 20 years of experience in the EAP field and proven experience in providing EAP oversight, management, and short-term counseling has ensured Deer Oaks’ growth and continued success. Dr. Boskind continues to provide direction and guidance in operational, administrative and financial matters, quality assurance and customer service.